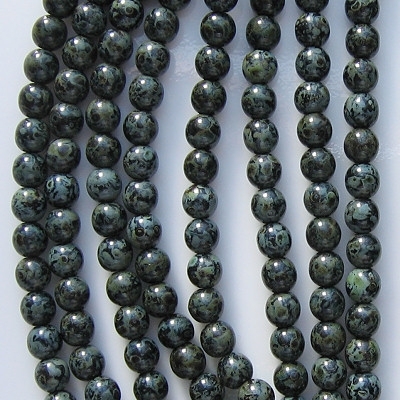 Black with a picasso finish (mottled gray and grayish green). 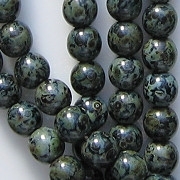 Important: The latest batch of these beads has a lighter picasso coating than the beads in the picture (the supplier's picture is pretty good, but mine is old and too dark). 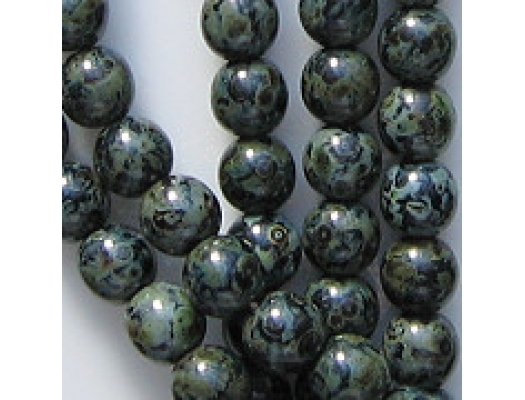 Many years ago I bought a batch of these beads that appeared to have a real silver-based picasso coating, and they were beautiful. The coating on these beads isn't as spectacular, but it is nice enough. When I have the opportunity, I will take new pictures of the batch I have now.